I'm sure you've heard about "Mooz-lum". If you haven't then it's probably time you watch the trailer. Or even better, watch the movie online over here. "What you've seen is wrong. I beg you, don't let a few people shape your view on an entire faith. Because what I've seen in so many others is beautiful." My complaint? It's too short. 99 minutes, c'mon! Maybe there should be a "Mooz-lum 2". You've seen it? is it any good? never heard of this. but now i do! thanks a lot. will watch this. gonna write about this in my blog. dont mind if share on this ya? Aishah: Yup watched it in full after I wrote this post. Definitely worth watching! 99 minutes only too. Perhaps with your permission, I can share this link with others? I remember watching this trailer aaages ago. I'm a bit skeptical of this movie just by watching the trailer. I've no idea whether it'd be any good. Would hate it if it turned out to be one of those soppy cliches. Hmmm. Until now i was a silent reader, but i can´t anymore, after watching the trailer i have goosepimples!! is it posible that after all we have a decent movie about muslims?!! I hope so, i can´t wait to watch it! I want to thank u Shahira about this post (and the entire blog :) i feel really conected to you in a lot of ways (since I live in a non-muslim country too) i would like to comment and tell u a lot of things but my english is so limited :( (i´m trying to improve it insha-allah) you´re doing a great job! I've watched it!! Great story which is based on true event. Moccona: Definitely watch it after exams lol. Good luck with them by the way! Oh and you don't need to ask for my permission. It's not my link so feel free to share it. RS: You know, from the trailer it does seem a bit cliched but when I watched it I was surprised that it's not quite as cliched as one would think it would be. 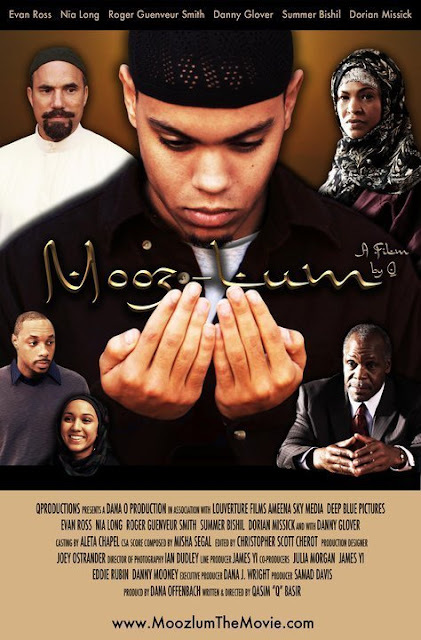 I was hoping the movie would portray a more positive relationship between Muslims but the reality is we as Muslims do need to look at ourselves and see what are the mistakes we are making that are deeply affecting the lives of people around us. Hana: Yeah! It's different kan? I hope to see more movies / documentaries by Muslims in the future. Smiley: No problem. Hope you enjoy the movie! I just finished watching it a couple days ago. I've been waiting since before it came out to see it. Thank you for sharing the link. It was such a great film!!! !